Now you are about to have a Convention which, among other things, will probably define the elective franchise. I barely suggest for your private consideration, whether some of the colored people may not be let in - as, for instance, the very intelligent, and especially those who have fought gallantly in our ranks. They would probably help, in some trying time to come, to keep the jewel of liberty within the family of freedom. But this is only a suggestion, not to the public, but to you alone. Here, too, Lincoln congratulated Hahn “on having fixed your name in history as the first-free-state Governor of Louisiana.” Had he known, or cared, he might have noted another historic aspect of Hahn’s election: Hahn was the first Jew elected a Governor in American history. Hahn, receiving this letter, astutely recognized Lincoln’s intent, and at the Convention in April, went beyond his own views regarding an extension of suffrage. 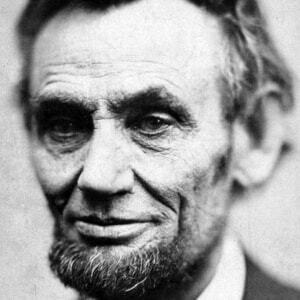 With great difficulty, he pushed through a provision authorizing the legislature to enfranchise non-whites on the basis that Lincoln suggested: military service and intellectual fitness. 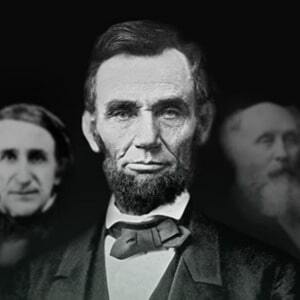 Lincoln was grateful, and ever solicitous of the Governor, as evidenced by his letter (see Lincoln to Hahn, July 21, 1864) in which Lincoln ordered pardons – but only if that was what Hahn wanted. Autograph Letter Signed (“A. Lincoln”), marked “Private,” 1 page, quarto, Executive Mansion, Washington, March 13, 1864. To Governor Michael Hahn of Louisiana. I congratulate you on having fixed your name in history as the first free-state Governor of Louisiana. Now you are about to have a Convention which, among other things, will probably define the elective franchise. I barely suggest for your private consideration, whether some of the colored people may not be let in - as, for instance, the very intelligent, and especially those who have fought gallantly in our ranks. They would probably help, in some trying time to come, to keep the jewel of liberty within the family of freedom. But this is only a suggestion, not to the public, but to you alone.